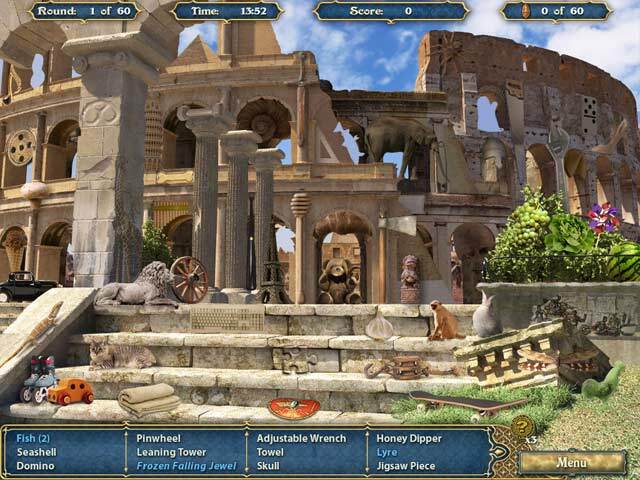 The latest chapter in the hit hidden object series is finally here, and all roads lead to Rome! With thousands of years of art, history, and culture to experience, Rome is the perfect place to explore. Take in its many ancient wonders and marvel at a myriad of priceless artifacts. Rome is sure to satisfy even the most seasoned travelers. 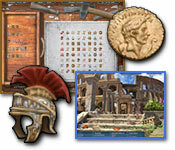 Search for thousands of cleverly hidden items around historic sites, plus play a bunch of fun mini-games along the way. 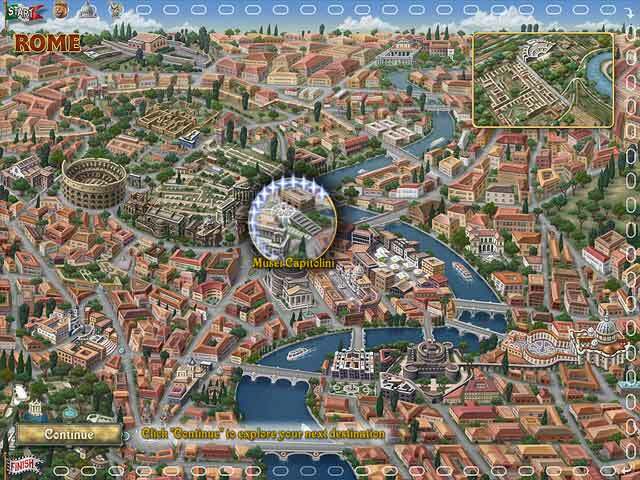 Collect 60 postcards containing fascinating and obscure facts about Rome and its history, plus earn 60 cool mementos from the amazing scenes you'll visit. 120 rounds of hidden object and mini-game fun! Start your trip of a lifetime today.